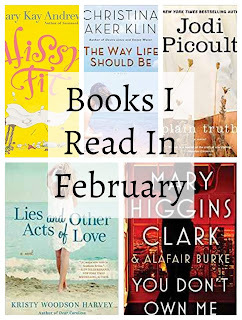 I have so many Kindle First books piling up on my Kindle that I decided to take a break from ordering any more books for myself through the local library and focused on reading through all those free books I eagerly ordered each month. I did have a few library books that I had previously ordered and read through before they were due back but felt pretty proud of myself for reading 6 of my Kindle books! I enjoyed them all too though my two favorites were When Never Comes and The Heart Echoes. 1. 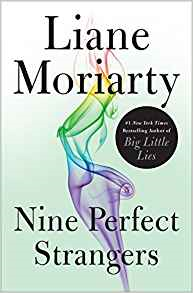 Nine Perfect Strangers by Liane Moriarty-- When nine perfect strangers sign up for a health and wellness retreat they have no idea what they're getting themselves into. 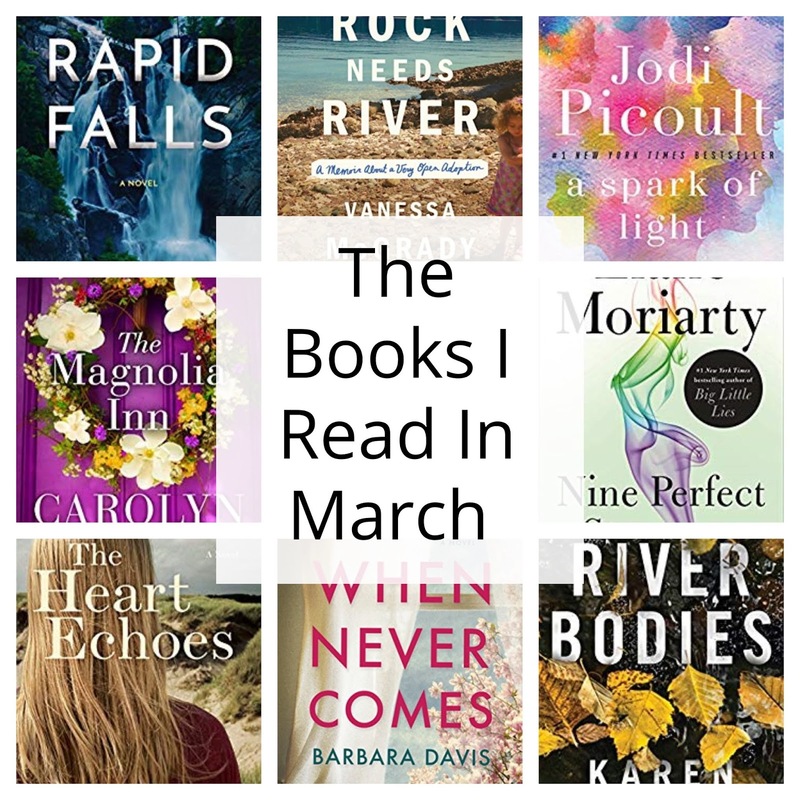 Each has their own secrets and reasons for being there and I love how Liane Moriarty reveals little snippets of each of their stories over the 10 days they're at the retreat. 2. River Bodies by Karen Katchur-- While her father is nearing the end of his life, Becca returns to her hometown to try and settle the bad feeling she harbors for him. 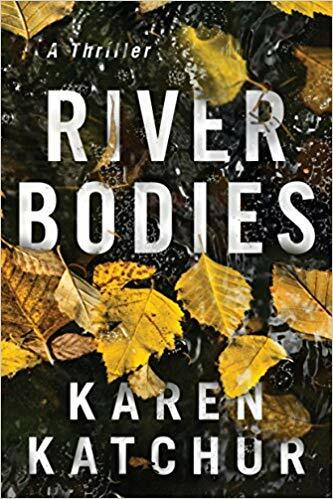 A body washes up in the river and the details are so startling familiar to an old case-- one that Becca discovers she knows more about than she knew. Living in her childhood home brings memories to the surface that Becca never even knew she had suppressed, she begins uncovering secrets that some believe were better left buried. 3. Rapid Falls by Amber Cowie-- Cara has spent the last 20 years of her life trying to get over the death of her high school boyfriend at her sister's hand. Her sister, Anna, turned to alcohol after her release from prison and Cara tries so hard to help her... but all is not as it seems. I thought this book was just OK and I don't think I'm giving anything away when I say I suspected Cara had a lot more to do with it all from the very beginning. The book also seemed to jump around in time a bit at the beginning and was a bit confusing at first. Not my favorite... but not bad for a free Kindle First read. 4. 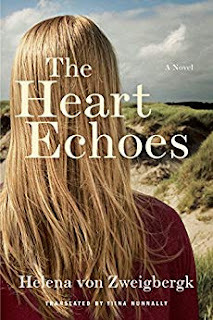 The Heart Echoes by Helena Von Zweigbergk-- This was one of those tear jerker books that I really enjoyed. It's a family of sisters all struggling through a rough year of their lives. 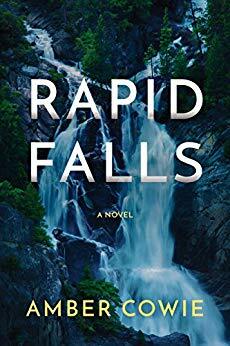 Astrid's oldest son is graduating high school and her son's biological father shows up threatening the life she and her husband have built together when old feelings and resentments rise to the surface. Her sister Lena has been diagnosed with cancer and feels all alone in the world even when surrounded by her family. Sandra is deeply in debt and working hard to save their family dancing business but her husband doesn't seem to care and Sandra begins to wonder if it's worth all the frustration and work to stay with her husband and keep the business going. 5. 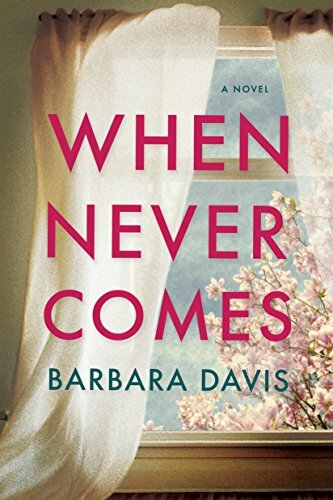 When Never Comes by Barbara Davis-- Christy-Lynn had a troubling childhood that she's been trying to run away from ever since she landed in foster care one fate-filled night. Grown, married to a famous author, and finally settled she's ripped from sleep one night by the local police. Her husband's car has skidded into the bay and he's dead... but he wasn't alone. 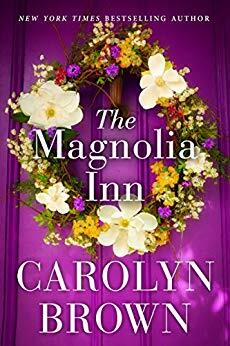 Fed up by the media frenzy that ensues Christy runs in the middle of the night trying to outrun all the ghosts of her past but questions keep surfacing about her husband, his mistress, their marriage, her childhood... 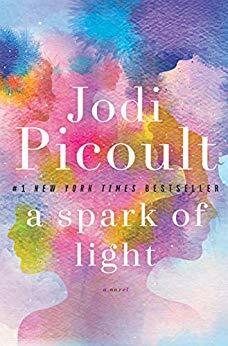 I thought this was a fantastic read! 6. A Spark of Light by Jodi Picoult-- I read this book in just under 24 hours. When an active shooter bursts into a women's (abortion) clinic the lives of those inside intersect in ways they never imagined. It was a really riveting book and I learned a lot reading the author's note in the back. Does anyone else love reading those? Sometimes those little notes stick with me more than the actual book! 7. Rock Needs River: A Memoir About Open Adoption-- I don't often read memoirs but I enjoyed this one. 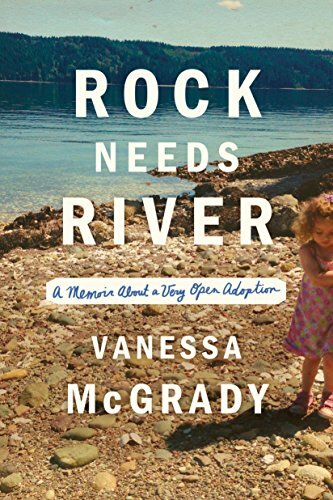 A quick and easy read about one family's very open adoption; at one point this mother invited the homeless birth parents to live with them! 8. The Magnolia Inn by Carolyn Brown-- Jolene has inherited 1/2 of her aunt's Magnolia Inn and she couldn't be more thrilled at this opportunity to start her live over. Only problem is she only owns half the inn and while she has big plans to overhaul the B&B she has no money or credit for a loan to do so. I enjoyed A Spark of Light too. I just love books like that; where they're told from multiple viewpoints and each viewpoint reveals a bit more about each story. Oo! I need to add "Nine Perfect Strangers" to my list! It was pretty funny and quite wacky. Oh . 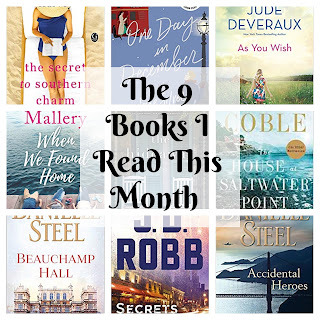 . . summer's comin' and I need some fiction in my life! :) I can't wait for summer reading! Books in the sun, at the beach... I bring them everywhere with me. 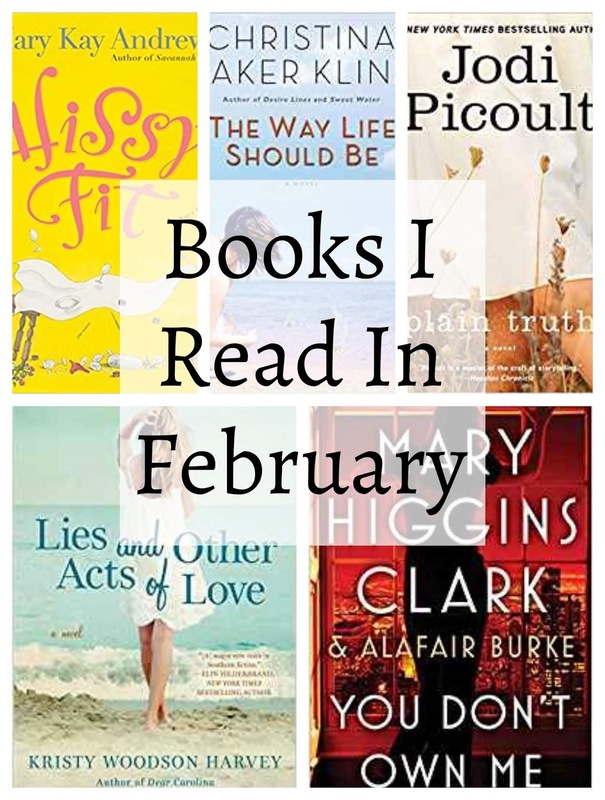 These sound like great books, especially "The Heart Echoes" and "When Never Comes" and I like listening to Jodi Picoult books on audio. They're light enough to do that. I really loved The Heart Echoes!